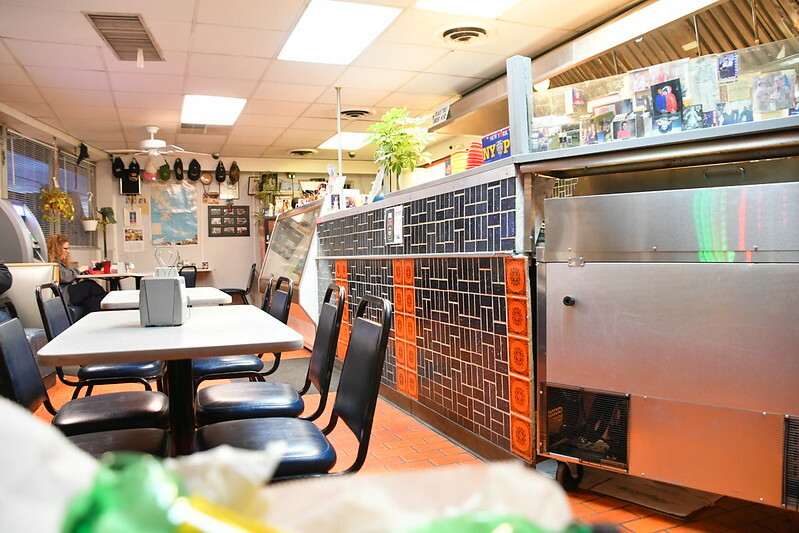 This is an older restaurant on a busy corner intersection, just inches away from traffic. Fortunately there was free parking behind the building, in front of the sketchy CashAmerica pawn shop. The interior wasn't particularly inspiring, and didn't show many signs of recent updates. I would assume it was remarkably similar in appearance when Sebastian's opened in 1976. The booth we sat at had some crumbs on the table when we sat down, but overall the place didn't feel dirty. We were greeted by a cheerful lady behind the counter, eager to take our order. There was an older gentleman manning the grill--I don't know whether it was "Alex", the owner, but I suspect that it was. The hostess invited us to find a table after placing our order, and then she brought out order out to us quite quickly after we sat down. The soft drinks they offer are provided in 20 ounce plastic bottles, and plastic glasses with ice and straws are provided. 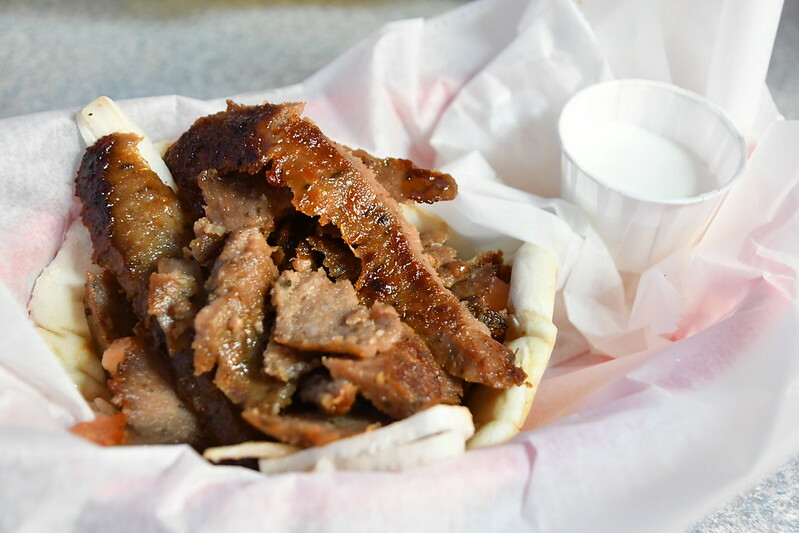 The Gyro was very tasty, especially the meat--which was the most plentiful ingredient. The meat was on top of some tomatoes and onions, and on top of a small pita. It was served with "sadziki" sauce on the side. At $6, it was a very reasonable price point for what was delivered. 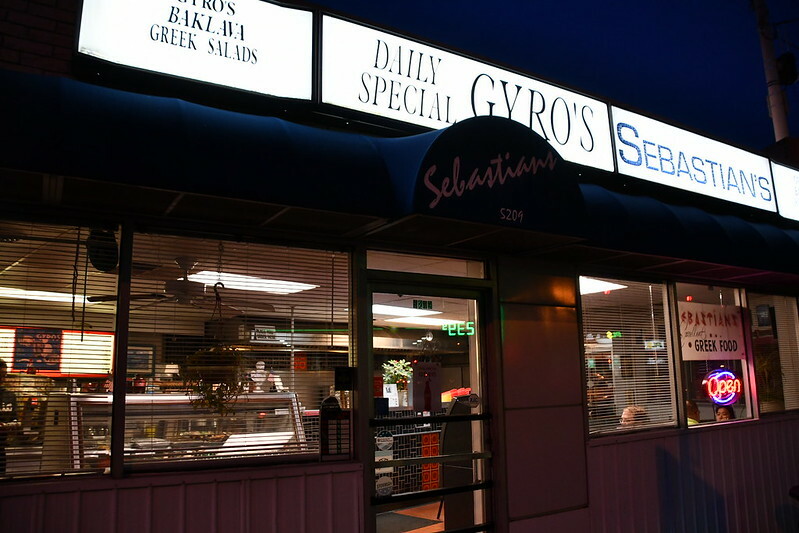 My wife had the "Greek Fries" which were crinkle-style fries with Sebastian's special seasoning salt. I have to say that the seasoning salt was delicious, and there was an extra shaker of the concoction on the table, in case we wanted to apply some more. The gyro was good enough that we will be happy to return in the future.